He submitted before the Supreme Court that a fair hearing under Section 235(2) of the CrPC was not held in the case by the trial court that passed the judgment. 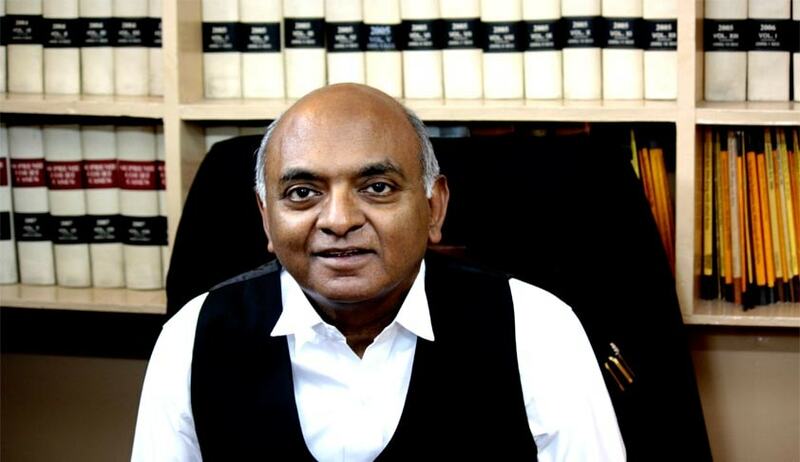 Senior Advocate Raju Ramachandran, one of the two amicus curiae appointed by Supreme Court in the Nirbhaya Case submitted before the Court that the order on sentence passed by the Trial Court on 11.9.2013 and confirmed by the High Court, ought to be set aside for violating the fundamental norms of sentencing, constitutionally ingrained, statutorily reflected and judicially interpreted by the Apex Court. He submitted that firstly, the statutory procedure prescribed under the Code of Criminal Procedure, 1973 was not strictly adhered to. Secondly, the tests prescribed by the Supreme Court to be followed while awarding death sentence have been overlooked and/or misapplied both by the Trial Court and the High Court. “Section 235(2) imposes a duty on the Judge, unless he proceeds in accordance with the provisions of section 360, to hear the accused on the question of sentence, and then pass sentence on him in accordance with law. Section 354(3) mandates that when the conviction is for an offence punishable with death or, in the alternative, with imprisonment for life or imprisonment for a term of years, the judgment shall state the reasons for the sentence awarded, and, in the case of sentence of death, the special reasons for such sentence”. In the first part of the written arguments submitted by Raju Ramachandran he said that a fair hearing under section 235(2) of the Code, not only includes oral submissions but is also intended to give an opportunity to the prosecution and the defence to place the relevant material bearing on the question of sentence before it and only thereafter, pronounce the sentence to be imposed on the offender. While stating so, the court also held that non-compliance with the mandate of section 235 (2) was not a mere irregularity capable of being cured under section 465 of the Code, and the order on sentence would stand completely vitiated. "The statutory duty to state special reasons under section 354(3)can be meaningfully carried out only if the hearing on sentence under section 235(2) is effective and procedurally fair. Similarly, the hearing on sentence is rendered otiose in case, the order on sentence does not reflect the special reasons for imposition of death penalty. If the mandate of Bachan Singh, to pay due regard to the circumstances of the criminal is to be followed in letter and spirit, the only manner in which such circumstances can be evaluated is through the process envisaged under section 235(2)." Read the first part of written submissions here.